Hey ya’ll, it’s Mel! It’s been a few months since my last visit. My life has gotten a little crazy lately with stumbling over dead bodies, a broken engagement, and my mama blowing up my phone wanting to know when I’m coming home to Texas for a visit. 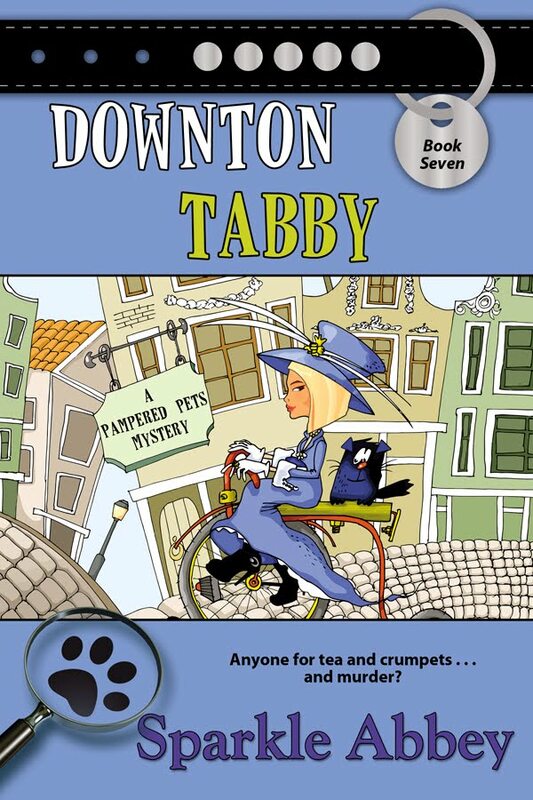 In my absence, my feisty assistant, Betty, seems to have been keeping you entertained. If you remember her last visit, she mentioned applying for the Citizen’s Academy. Well, she applied—heaven help us—but hasn’t heard if she’s been accepted. Stay tuned for more details. 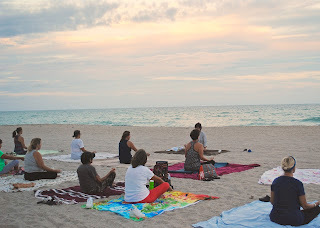 This morning when I was running on the beach, I ran past a yoga group holding a sunrise class. Downward dog pose, cat pose, warrior pose, tree pose, I-really-want-a-cheeseburger pose...I couldn’t stop watching them. I’ve always thought yoga wasn’t my type of exercise unless I’m stretching with my girl, Missy. 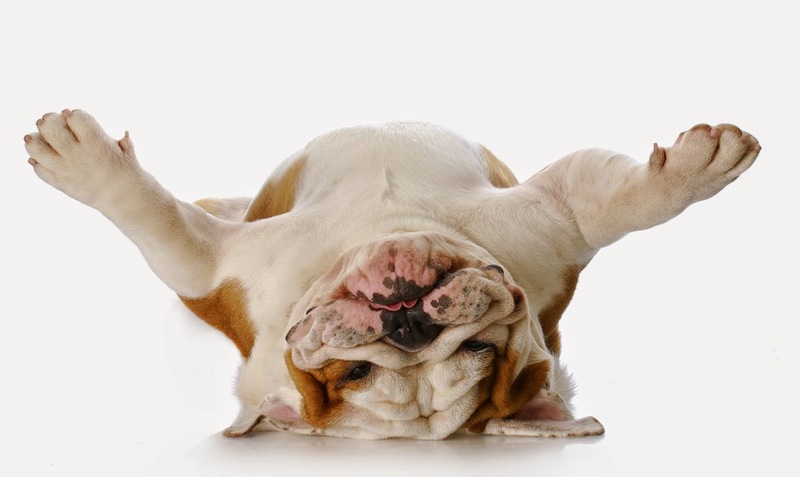 Doga is rather fun, and really more about strengthening the pet and human bond than bending and twisting the body. I prefer HIIT exercise (High Intensity Interval Training), such as like circuit training, Crossfit, kickboxing, and of course running. I run for a number of reasons: to release stress, clear my head, brainstorm ways to keep Betty occupied with Bow Wow Boutique business so she’ll stay out of my personal business, and to burn calories so I can eat the earlier mentioned cheeseburger. In Laguna, a beach run is pretty short, only about mile and a half from Main Beach to Catus Point. For a longer runs, the hills have great trails and are extremely popular. Back to the beach yoga group; I have to admit, not only did they look extremely flexible, they all looked peaceful and mellow. I’m not sure I’ve ever been described as zen or quiet, but maybe there’s something to the “practice of yoga” after all. What about you? Have you ever taken a yoga class? Did you feel more relaxed? Am I really missing out and need to drink the Kool-Aid? 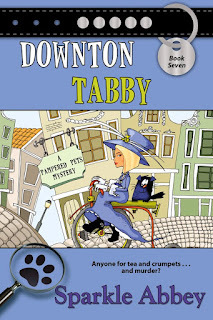 The authors wanted me to mention that their publisher is running a special on book 7, Downton Tabby and it is $1.99 in all ebook formats until April 15th.